Israel’s police chief Yohanan Danino has urged authorities to re-evaluate legal approaches to the recreational use of marijuana following a major pro-cannabis protest with the participation of Knesset members last week. Danino spoke to high school students in Beit Shemesh, 30km from Jerusalem, and stated they would be “surprised to hear” the existing government policies regarding cannabis. “I think it’s time for the police, along with the state, to reevaluate its traditional position,” Danino added, as quoted by the Times of Israel. Recently, some Knesset [Israeli legislative body] members voiced their support of decriminalization of marijuana, following the lead of a few countries across the globe in legalizing the drug. Danino said that he had spoken to the legislators, urging them to re-think the Knesset’s traditional position on cannabis use. It is time “to sit down and study cases from around the world,” he also said. Danino added that he had spoken to Amsterdam’s police chief, as well as other security officials in countries which allow the use of marijuana. “I look at the dangerous drug addict, the one who robs and steals in order to get his fix,” he said. The latest statements come about a week after a few Knesset members from both sides of the political spectrum joined over a thousand people who took to the streets of Tel Aviv to protest the criminalization of marijuana use. Several Knesset members already spoke to Danino about the cannabis legislation. 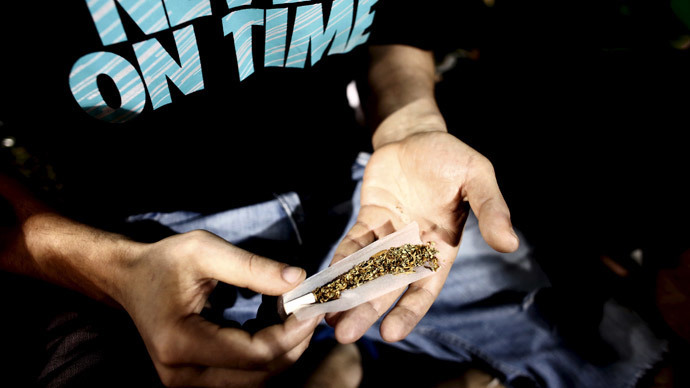 “During our conversation, we reached an outline that will allow recreational use of cannabis to be decriminalized, as long as consumers remain law-abiding citizens,” Knesset member Yinon Magal said. “The public has progressed and understands marijuana consumers are normal citizens who do not harm anyone, and there is no reason to persecute and incriminate them,” Zandberg added. “It is now time for elected officials to advance and overhaul legislation,” she concluded. He added, though, that he supported the medical marijuana production. The possession or sale of cannabis for recreational purposes is illegal in Israel. However, the country has one of the highest per capita rates of legal cannabis use, with over 21,000 people medically licensed to use the substance. Also in the attorney-general’s directives, issued in 1985 and updated in 2003, it is indicated that individuals possessing small amounts of the drug for personal use shouldn’t be charged on a first offense, the Jerusalem Post reported. Despite that, about 23,000 people were arrested annually for drug use and possession in 2012 and 2013. According to a 2013 poll by Channel 2, one in five adult Israelis say they have used marijuana for non-medical purposes, and almost half (46 percent) said they believe personal use of marijuana should be legalized.